I’ve figured out a totally gross way to stay productive. You see, if you didn’t already know, raw vinegar tastes absolutely revolting. Like, not ‘I’m going to vomit’ bad, but definitely ‘UGGGGHHHH WHY WAS I BORN WITH TASTE BUDS’ bad. I have a clock on my TV stand. I set this clock to a specific amount of hours. When the clock starts to count down, I HAVE to begin and continue working on my projects. 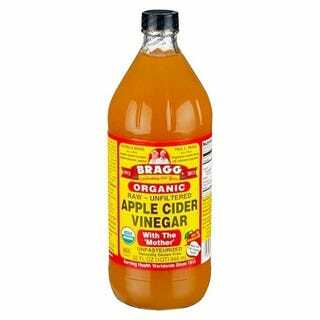 If I allow myself to become distracted for even a moment...I have to take a sip of this wonderful apple cider vinegar. There are like 10,000 ways to distract yourself from a given task. If you feel you need a slight edge to stay on track, this could help. It’s cheap and effective. When I’m working, it’s really threatening to have that bottle of apple cider vinegar looming in the foreground. It’s a piss colored bottle of concentrated pain and hatred of all things delicious, which is perfect!